There’s a new, big, player in the Volkswagen world and it’s called the Atlas. 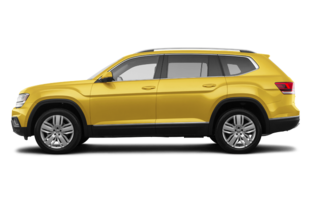 If you were curious about this big beast and all it has to offer, you’ll want to take a look at the following “need to know” facts about the all-new Volkswagen Atlas SUV. That’s right, the Volkswagen Atlas is the German automaker’s first foray into the world of 3-rowed SUVdom. What about the Touareg you wonder? Well, when that SUV first appeared in 2003 it was the company’s largest model fir sure, but it also only offered up tow rows of seating. So, the Atlas is Volkswagen’s first real three-row behemoth. Yes, you read that correctly: The 2018 Volkswagen Atlas a 3-row SUV is built on the same platform as the small, hatchback VW Golf. How is that possible? Well, German engineers created a versatile platform that can be scaled to accommodate either the larger Atlas or smaller Golf, depending on engineering needs and desires. The Volkswagen Atlas is only the second model to ever offer standard LED headlights so far in the VW lineup. The first was the eGolf (an all-electric version the popular Golf). Now, the Atlas can boast the same claim to fame as LED headlights slowly make their way into mainstream feature lists across the automotive industry. And that’s a very good thing. In the 2018 Volkswagen Atlas, you can add option such as a simpler version of a virtual cockpit (as found on Audi models), a segment first. There’s also a host of safety features such as lane keep and front collision warning, blind-spot detection, and all those fancy technological bits. 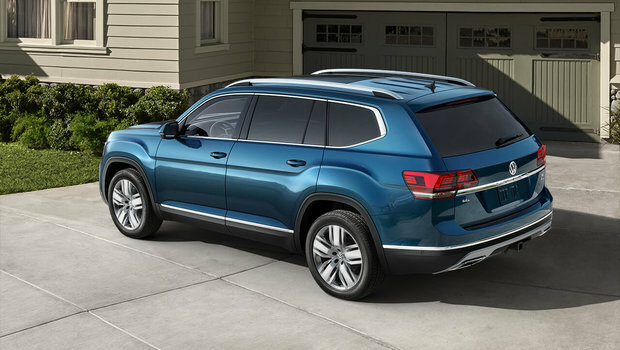 In all, the 2018 Volkswagen Atlas has plenty to offer in terms of interior space, performance, and design. 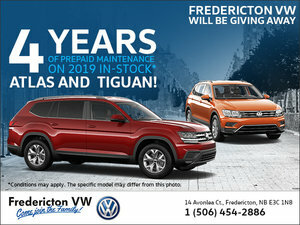 To find out more about the new VW Atlas, head down to your local Fredricton Volkswagen dealer to speak to one of our experts and make sure you book a test drive, too.